We are known manufacturer, supplier and exporter of high range of Jute and Cotton Bags which are environment-friendly, long-lasting and are admired by the clients all over. Our products are extensively used and have gained a reputation in the market. We are known manufacturer, supplier and exporter of high range of Jute and Cotton Bags. 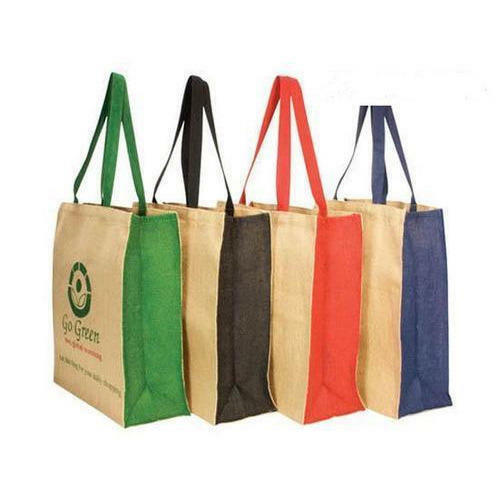 Our offered products are Jute Shopping Bags, Cotton Bags, Jute Promotional Bags which are environment-friendly, long-lasting and are admired by the clients all over. Our products are extensively used and have gained a reputation in the market.